The Information center is located at Kaffi Klara at Strandgata 2 in Ólafsfjörður. It’s open every day during the summer from 9-18. Tel: 466-4044. Winter: Monday-Friday from 12-17. Saturdays and Sundays from 12-17. 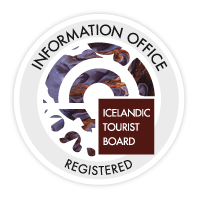 The staff can provide you with information about hotels, guesthouses, tourist attractions in the area, excursions, opening hours, hiking trails, museums, swimming pools, natural pools, the weather forecast, the Northern Light forecast and any other information that you might need. The swimming pool is open all weekdays from 6:30-19, except on Fridays when it’s open until 18. On Saturdays and Sundays it’s open from 10-18. During the winter it´s open 6:30-19 all weekdays, SAturday from 10-14, and Sundays from 14-18. Pálshús is open every day from 11-17 during the summer, but in the winter it is closed. Gallerí Ugla – Art Gallery · Cultural Gifts Store open Monday – Friday kl. 14-18 and Saturday kl. 13-17. The supermarket Kjörbúðin is open every weekday from 9-19, Saturdays from 01-18 and Sundays from 12-18. The ATM is in the lobby of the old bank building in the main street and is always open. Höllin Restaurant is open every day from 11:30-14 and from 17.-21, on Saturdays the bar is also open from 00:00 until 3 o’clock. Winter: weekdays open from 17-21, weekends from 16-21. Hannes Boy: Open from 12-14 and at the evening. Rauðka cafe and restaurant: Open every day from 12-20. The Herring Museum: Open every day 10-18. Winter: Open every day 13-17. Skiing: Winter: Weekdays from 13-19, weekends from 10-16. The Folk music museum: Open from 12-18 every day during the summer but closed during the winter. Call 615-2086 to visit the museum outside of opening hours. The Bakery is open weekdays from 7-17. In the winter it´s closed on Sunday. Torgið Restaurant is open from 17-21 weekdays and 17-22 during weekdays.